Set on a peninsula along Narragansett Bay, this 85-acre estate was an untamed expanse, ripe with potential. 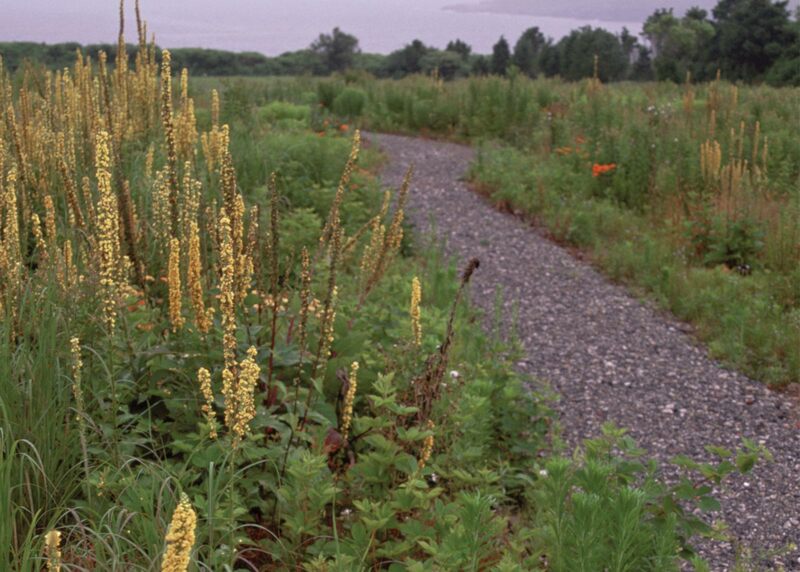 The client, a steadfast conservationist, wanted to preserve the site not only as a place for family but as a sanctuary for native flora and wildlife. 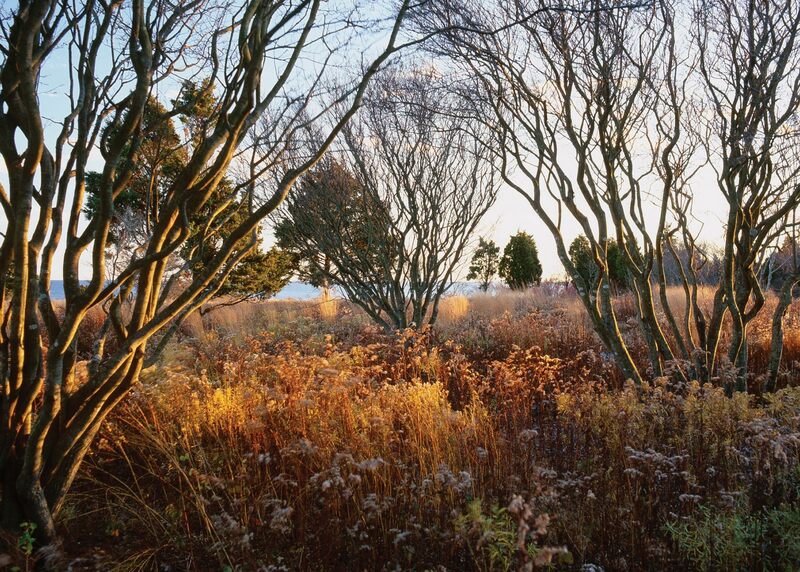 OvS’ approach, much like that of a gem cutter, was to remove the site’s non-essential elements in an effort to reveal the land’s inherent beauty. Given the magnitude of the property’s size, more than a year was invested in the Master Planning process. OvS devoted time to walking the site, learning its contours, opportunities, and constraints. These frequent site walks ultimately bore a network of paths that wove throughout the landscape, delineating a series of spaces. 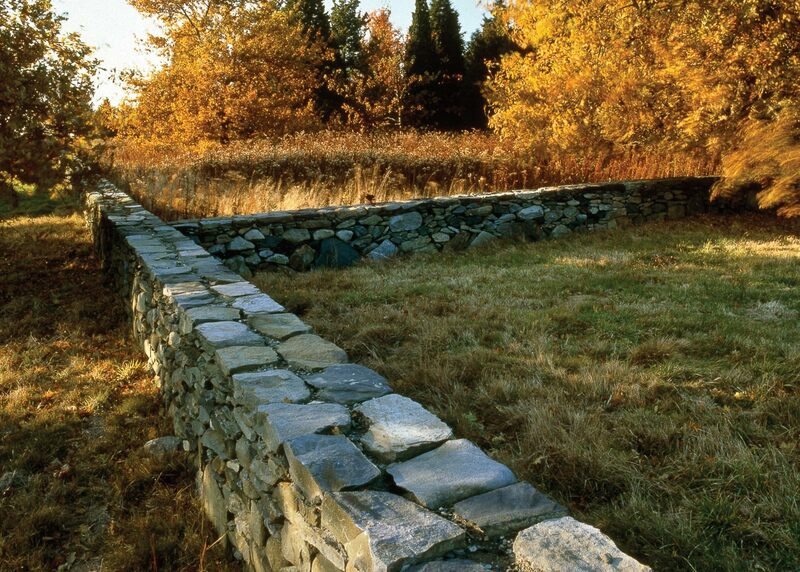 Newly discovered ruins of old New England stone walls defined additional spaces. Each of these contiguous areas called for individual characterization. Though the property sits seaside, its entrance drive meanders through a series of ecologic conditions. 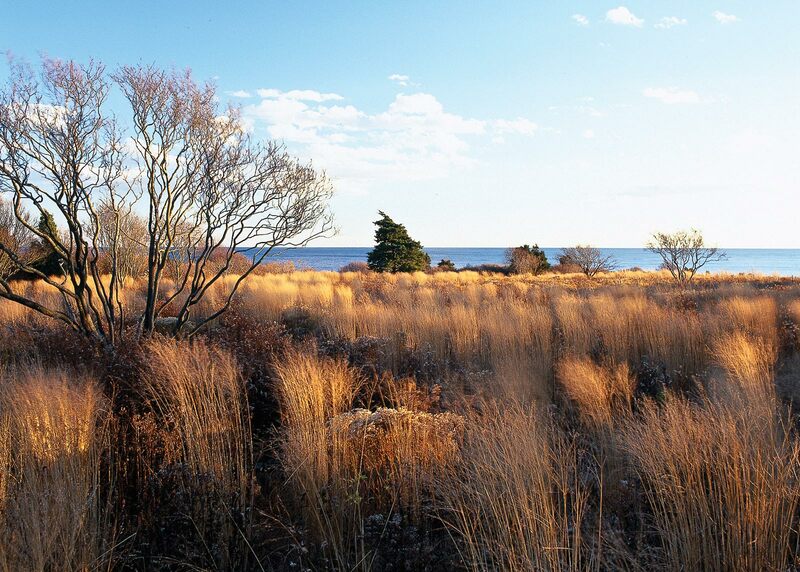 A nine-acre inland meadow of native plants gives way to an inland forest of miniature cedars, which eventually dissolves into a seaside meadow and woodland along the ocean’s edge. 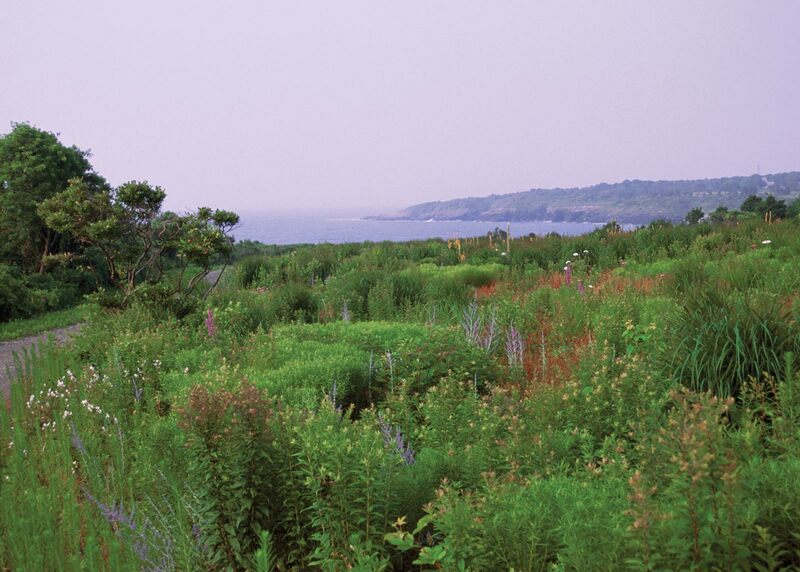 The house, positioned to maximize views of the ocean, bay, and nearby Block Island, exhibits the most intricate and detailed gardens. Here, the ground plane is comprised of complex perennial displays and bluestone and granite cobble-paved terraces. Ocean access is simple and functional. Stairs made of mahogany, a hardy wood that can withstand the often harsh seaside conditions, descend over the rocky cliffs to the water below. 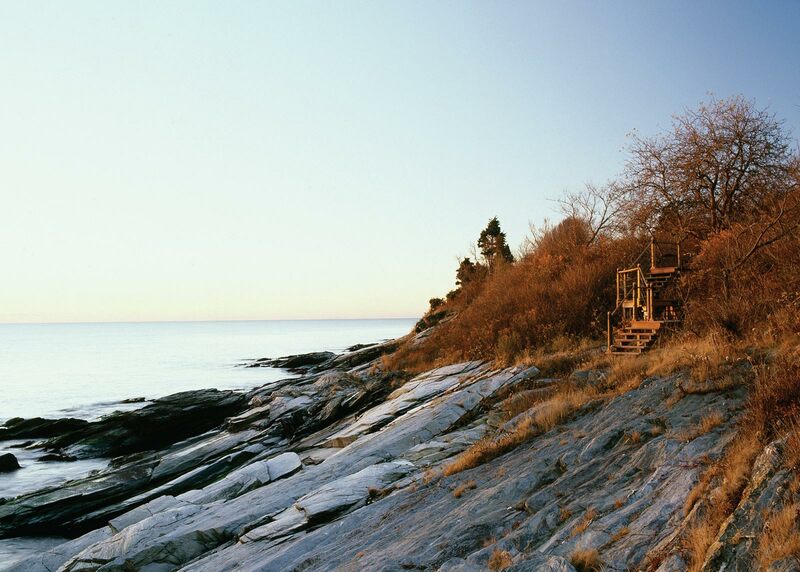 The stairs are secured into the gray shale of the shore with marine-grade hardware. Minimal human intervention allowed this natural setting to flourish. 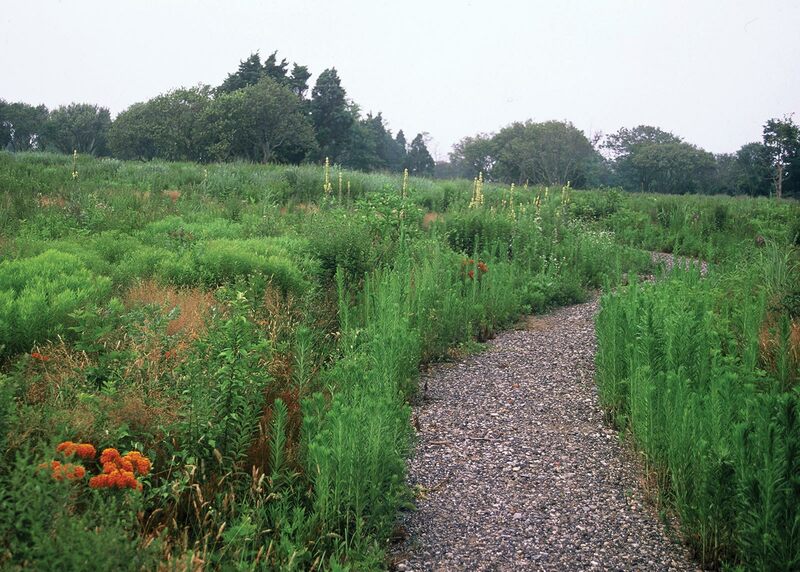 The resultant habitat is harmonious for plants, animals, and people.